LA CANADA >> In a violent incident of road rage, a group of three people followed a man from a Glendale gas station to La Canada Flintridge, where one of them beat the victim with a baseball bat or other blunt object as he tried to seek help at a Foothill Boulevard fire station late Thursday, officials said. The attack unfolded shortly after 7 p.m. outside Los Angeles County Fire Station 19, 1729 Foothill Blvd., Los Angeles County sheriff’s Lt. Randy Tuinstra said. The attackers — described only as two men and a woman in a silver or gray Lexus sedan — became enraged over some type of traffic dispute at or near a gas station in Glendale, the lieutenant said. They then began following the victim, who ultimately drove to the fire station to seek help. “As he exited his vehicle and went knocking for help at fire station, a suspect jumped out of car and battered him with a blunt object,” Tuinstra said. The victim was struck in his arm and head. He was taken to a hospital with non-life-threatening injuries. The attackers and their car were not found, Tuinstra said. 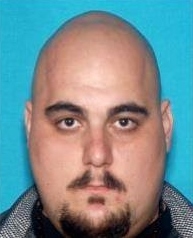 Anyone with information can reach the sheriff’s La Crescenta Station at 818-248-3464. Tips may also be submitted anonymously to L.A. Regional Crime Stoppers at 800-222-8477. PICO RIVERA >> A Glendale woman who triggered a fatal crash when she drove through a red light in Pico Rivera while drunk has begun serving a six-year prison term for the crime, officials said Wednesday. Christine Vahe Mesdjian, 28, pleaded “no contest” to gross vehicular manslaughter while intoxicated during a pretrial hearing on Thursday in the Norwalk branch of Los Angeles Superior Court, Los Angeles County District Attorney’s Office spokeswoman Sarah Ardalani said. “She was immediately sentenced to six years in state prison,” Ardalani said. 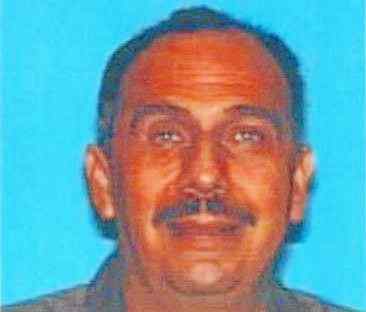 An additional count of felony DUI was dismissed in connection with the Feb. 15, 2015, three-vehicle crash that claimed the life of David Andrew Jaramillo, 59, of Whittier. Mesdjian initially told investigators she fell asleep at the wheel prior to the crash, Los Angeles County sheriff’s Detective Jose Marquez said. But skid marks created in the street prior to the collision contradicted her story, he said. Mesdjian was driving a Toyota pickup truck north along Paramount Boulevard about 8 p.m. when she blew through a red light and hit the passenger side of a Toyota Scion heading east on Slauson Avenue, according to Marquez. The force of the collision pushed the Scion into a Toyota Camry heading west on Slauson Avenue. Mesdjian and three people inside the camera were treated for injuries as well, officials said. 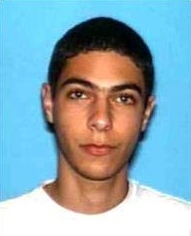 Deputies did not arrest Mesdjian the night of the crash, but ultimately turned over the findings of their investigation to prosecutors, who obtained an arrest warrant for Mesdjian in late June of 2015. She turned herself in to authorities June 30. GLENDALE >> Authorities Wednesday released the identity of a man fatally shot by West Covina police after stealing a police car and leading officers on a wild chase that ended in Glendale as television news cameras broadcast the incident live. Gevork Alachadzhyan, 45, of North Hollywood died at the scene of Sunday’s 10:30 p.m. officer-involved shooting in the 100 block of South Glendale Avenue, according to Deputy Juanita Navarro-Suarez of the Los Angeles County sheriff’s Information Bureau. But sheriff’s homicide detectives, who are handling the officer-involved shooting investigation, placed a “security hold” on the case at the Los Angeles County Department of Medical Examiner-Coroner. The security hold prevents coroner’s officials from releasing any information about the case, Winter said. The reason for detectives’ decision to block the release of information was unclear. The handling detective at the sheriff’s Homicide Bureau declined to discuss the case Wednesday. In a recording of police radio traffic from the pursuit, the driver — later identified as Alachadzhyan — can be heard screaming, sometimes unintelligibly, into the microphone. “I’d rather take the car,” the man yells at one point. “The police are gonna kill me,” he continued. West Covina police chased Alachadzhyan, who activated the stolen squad car’s emergency lights and sirens, at high speeds before using a PIT maneuver to spin the car out. News helicopters filmed as a police SUV smashed broadside into the stolen cruiser, pinning it. The suspect died at the scene, officials said. No officers were hurt. Authorities said the suspect stole the West Covina police car after an officer responded to a call for service 200 block of Barranca Parkway in West Covina, but ultimately determined no crime had occurred, officials said. The officer offered the man a ride to the east end of town, according to the statement. Once the officer let the man out of the car, “the suspect ran to the driver’s door and assumed control of the vehicle,” according to the sheriff’s department statement. Fellow officers soon spotted the stolen police vehicle and initiated the chase. In addition to numerous convictions for petty theft, receiving stolen property, DUI and driving without a license, Alachadzhyan was convicted in 2013 of possession of a machine gun, being a felon in possession of a gun, drug possession and possession of drugs for sales, records show. Other convictions include contempt of court and false impersonation of another, according to court records. At the time of Wednesday’s chase and fatal shooting, Alachadzhyan had a case pending against him on charges of hit-and-run, driving on a suspended license and driving without a valid license. GLENDALE >> West Covina police shot and killed a man who stole a police car, then led officers on a pursuit that ended in Glendale late Sunday, authorities said. The shooting took place about 10:30 p.m. in the 100 block of South Glendale Avenue, just south of Broadway, according to Los Angeles County sheriff’s officials, who are handling the investigation into the fatal officer-involved shooting. “The suspect, a male adult, was struck by gunfire and pronounced dead at the scene,” sheriff’s officials said in a written statement. In a drama broadcast by television helicopters, officers pursued the stolen cruiser with its lights flashing at speeds approaching 100 miles per hour until a police SUV crashed into its driver’s side door to bring it to a halt. 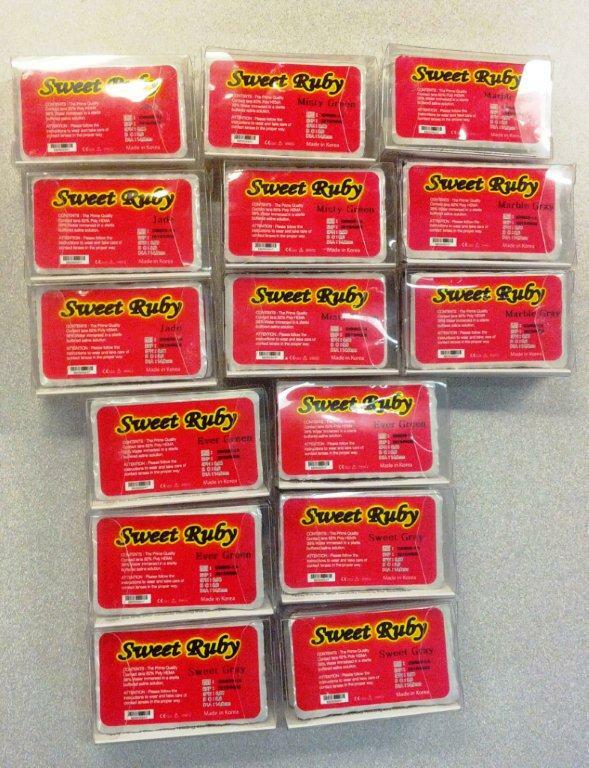 LOS ANGELES >> Federal prosecutors charged 12 people and businesses this week with selling illegal and potentially dangerous cosmetic contact lenses, including some contaminated with a virulent strain of bacteria capable of blinding wearers, authorities said. 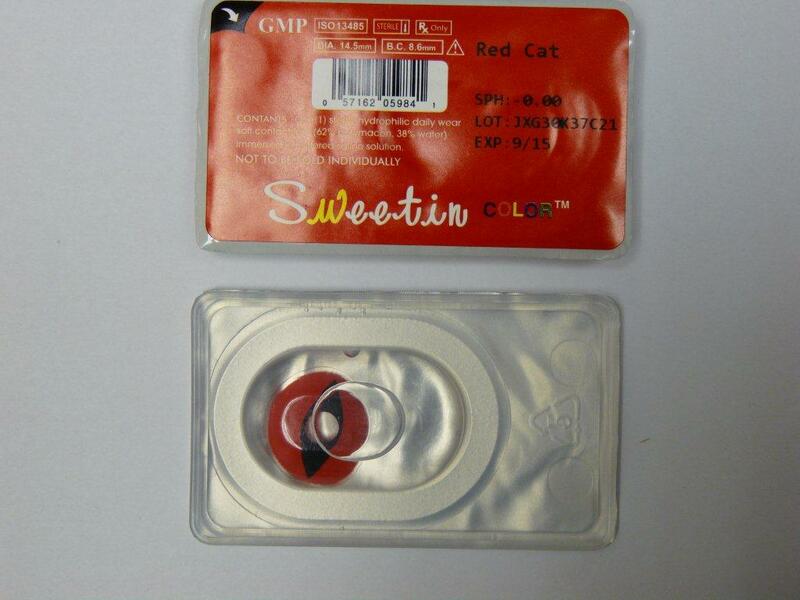 The charges stem from an investigation into the sales of cosmetic contact lenses without prescriptions in the weeks leading up to Halloween dubbed “Operation Cat Eyes,” Assistant United States Attorney Amanda Bettinelli said. “The goal was to protect consumers in advance of Halloween,” Bettinelli said. 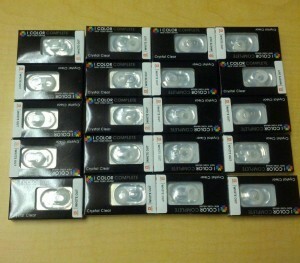 Cosmetic contact lenses used to change the wearer’s eye color have been growing in popularity, officials said. They range from subtle color changes to ornate designs. But while contact lenses are illegal to sell without a prescription, non-presciption, or “misbranded,” lenses have been increasingly popping up in beauty salons and costume stores. “They’re so easily available, and they can do horrific injury to your eye in a short period of time,” Bettinelli said. Without being properly fitted to each individuals eyes, contact lenses have the potential to cause abrasions, lesions and other serious injuries, Bettinelli explained. There are no guarantees regarding the quality of the lenses or the conditions in which they are manufactured, which are sometimes “filthy,” she said. And in some cases, the lenses and the fluid they are stored in have been found to be contaminated with dangerous pathogens. Mike Honabach, 45, of Highland is accused of selling lenses contaminated with a “particularly insidious” strain of bacteria at a booth at the recent Los Angeles County Fair in Pomona called Halloween and Party Discounters Inc., Bettinelli said. 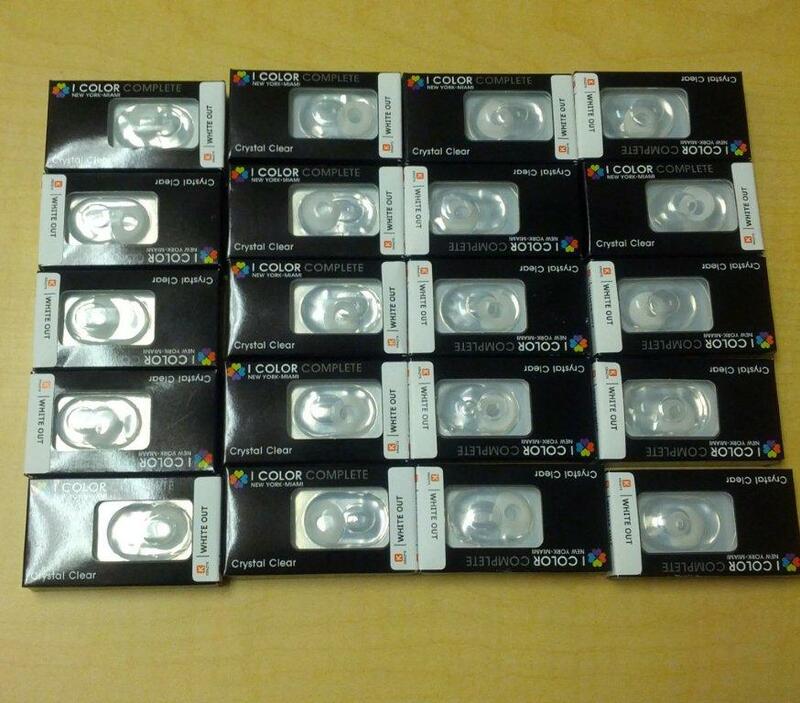 Lenses seized from the booth in September, sold under the brand name “I Color Complete,” were found to be contaminated with the bacteria Bacillus cereus, the prosecutor said. No injuries had been directly linked to the contaminated batch of contact lenses. “The Bacillus cereus bacterial strain can cause severe infections that, even with prompt treatment, can lead to blindness,” U.S. Department of Justice spokeswoman Thom Mrozek said in a written statement. Honabach is charged with introducing adulterated devices into interstate commerce, receipt of bacteria-adulterated contact lenses and sale of misbranded products. Honabach’s supplier, Intertrade Imports Inc. of Jacksonville, Florida, along with Intertrade manager Eunju Kang Savvidis, 53, of Jacksonville, are charged with introducing adulterated devices into interstate commerce, Mrozek said. Doris Owusa Ansah, 53, of West Covina, who owns Sunset Beauty Salon in West Covina, is charged with selling misbranded contact lenses; CKL Fashion, Inc., a Corona company that operated a business called “T-Shirt Mart in Glendale, along with manager Young Kim, 51, of of La Cresenta is accused of selling misbranded contact lenses; Jung Rae Jo, 60, of Cerritos, who owns Fashion Young in Westminster, is accused of selling misbranded contact lenses; Halloween Superstore in Glendale, as well as owner Zinaida Khrimyan, 25, of Glendale and manager Patrick Abedi, 30, of Glendale, are accused of selling misbranded contact lenses; and Hong Kong-based Aspirational International Inc. is accused of selling misbranded contact lenses online. All 12 people and businesses are scheduled to appear for arraignment hearings in federal court in Los Angeles Dec. 9, Mrozek said. If convicted, each defendants faces a maximum penalty of one year in federal prison and for each count, along with a $100,000 fine for individuals and $200,000 fine for corporations. The U.S. Food and Drug Administration, the California Department of Public Health and the California Department of Consumer affairs took part in the investigation. GLENDALE — Firefighters responded from both ground an air after a brush fire ignited in the hills above Brand Library Park in Glendale and grew to 50-acres in size, officials said. The fire was reported just before 12:30 p.m., according to a dispatcher at the Verdugo Fire Communications Center. A third-alarm was called as firefighters from various area agencies, with the aid of fire-fighting aircraft, attacked the flames. By 3 p.m., the fire had grown to 50 acres in size, according to Glendale city spokesman Dan Bell. No evacuations were ordered or expected, however firefighters were taking positions to protect structures, officials said. No home’s were considered “directly threatened” by the fire, however Glendale Fire Department Battalion Chief Thomas Propst said homes along Allen Avenue and Thurber Place were potentially in the path of the fire’s travel. Two hikers called for help to report they were stranded by the fire, Glendale Fire Department Battalion Chief Thomas Propst said. Firefighters ended up finding and rescuing a total of five hikers in two separate groups from the area and assessed them for possible dehydration, Bell said. No additional hikers were believed stranded in the area. About 100 firefighters on the ground and five airships continued fighting the flames Sunday afternoon. GLENDORA — Police and California Department of Alcoholic Beverage Control officials cited four people this week who purchased alcohol for minors during a “shoulder-tap” sting operation, authorities said Wednesday. 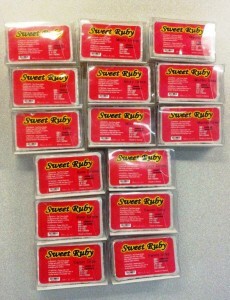 The operation took place Saturday at business throughout the city, Glendora police Cpl. Shawna Celello said in a written statement. The four adults who purchased alcohol for underage decoys working with police face a minimum penalty of a $1,000 and 24 hours of community service if convicted, Celello said. Funding was provided by a grant from the California Department of Alcohol Beverage Control through the department’s Grant Assistance Program. EL SEGUNDO — Pasadena and Arcadia firefighters joined Verdugo Fire Academy recruits over the weekend to practice fighting oil and gas fires at the Chevron Oil Refinery in El Segundo. 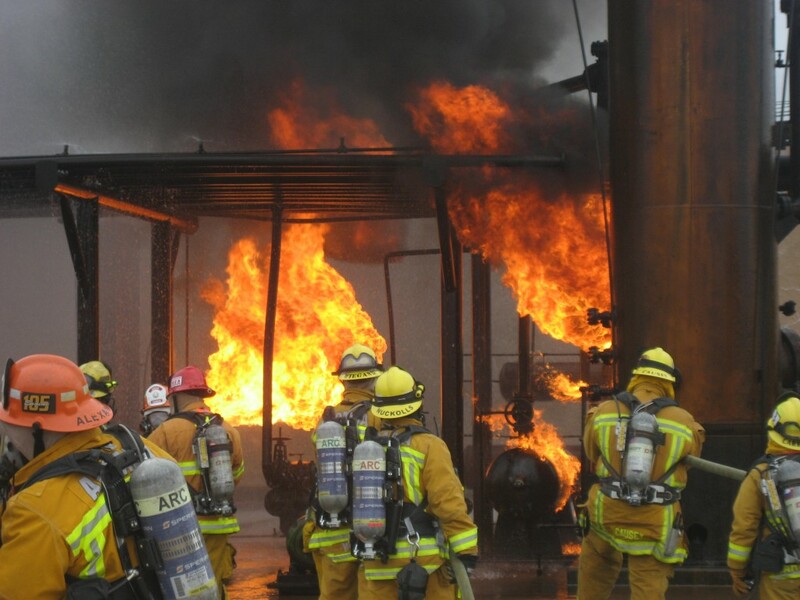 The training took place Saturday and Sunday and made use of a “training prop” at the Chevron refinery, Verdugo Fire Academy Chief Sam DiGiovanna said. About 45 recruits from the Verdugo Fire Academy took part in the training, alongside academy instructors, four firefighters from Pasadena and four from Arcadia, the chief said. The training provides valuable skills that become necessary whenever dealing with a fire involving gas, oil and valves, he said, such as when a tanker truck caught fire on the Pomona (60) Freeway in Montebello in December of last year, destroying the Paramount Boulevard bridge. “The recruits get some great training, and so do the firefighters,” DiGiovanna said. Recruits trained by the Verdugo Fire Academy in Glendale staff fire departments throughout the San Gabriel Valley and Southern California.